A Notorious stop in Port Fairy | Where to next? I’ve already mentioned our raid on the veggie garden in Port Fairy, but we also managed to do a bit of sightseeing. 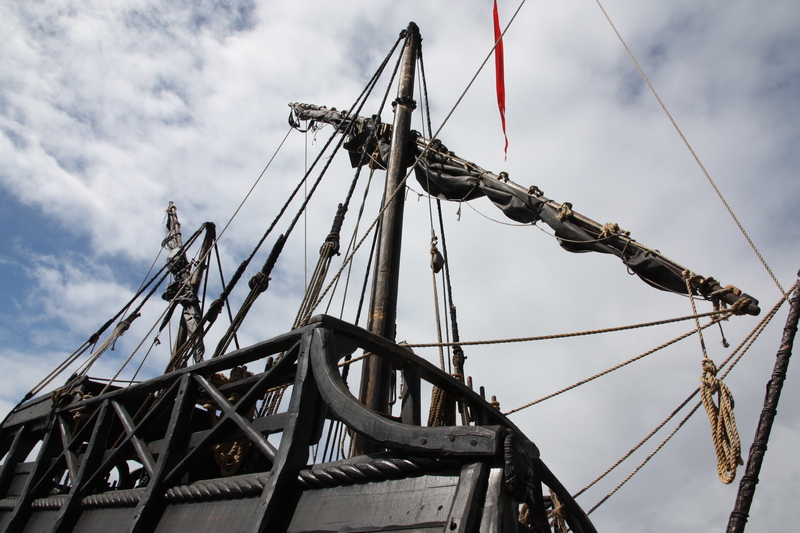 The highlight was seeing the Notorious, a re-creation of a 15th century Spanish or Portuguese caravel. Inspired by the legendary Mahogany Ship, the Notorious was researched, designed and created single-handedly by Graeme Wylie. Wylie, an amateur boat builder, used traditional techniques where possible. The caravel is made entirely of reclaimed timber—mostly Monterey cypress, which was sourced from parks, farms and homesteads in southwestern Victoria. The keel and rudder are made of ironbark, reclaimed from the Warrnambool breakwater. The exterior of the timber has been treated as in the 1500s, with a mixture of Stockholm tar, linseed oil, pitch and pure turpentine. 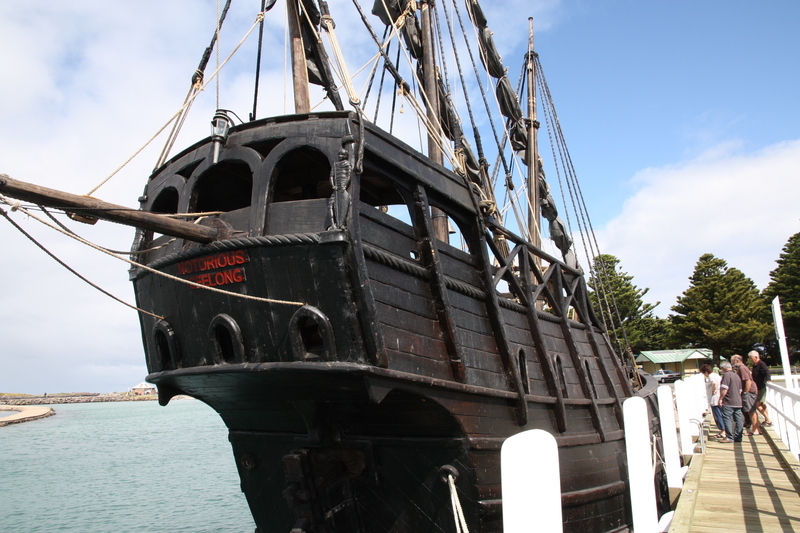 The Notorious was launched in February 2011 at Martin’s Point, Port Fairy, Victoria.